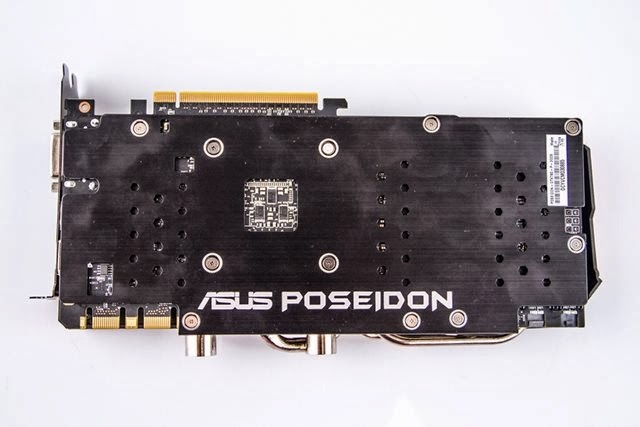 The ASUS GeForce GTX 780 Platinum Poseidon is not a common video card . For starters , it carries the seal of ASUS ROG , which means a product developed with high quality components and offers high performance . To ensure this, the model is built with an NVIDIA GK110 , more precisely a GTX 780 chip . Furthermore , the plate also has unique features ROG line as the digital voltage regulator DIGI + VRM capacitors with high duration and two different cooling systems . Dubbed DirectCU H2O , the cooling system brings fans and a block ready to be connected to an external water cooler , which allows for safer overclocks . We tested the card in both conditions and compared the two methods to figure out which one is more efficient , even when making overclocks . The Poseidon has a relatively simple look but very stylish. The design and colors follow the tradition of the ROG line, which means that if this video card is connected to a motherboard seal, the combination will be perfect aesthetically speaking. Looking at the board set aside, you can see the waterblock with the heatsinks covering almost the entire surface of the PCB. The two huge coolers are positioned in parallel, similar to that seen in other models of DirectCU line. 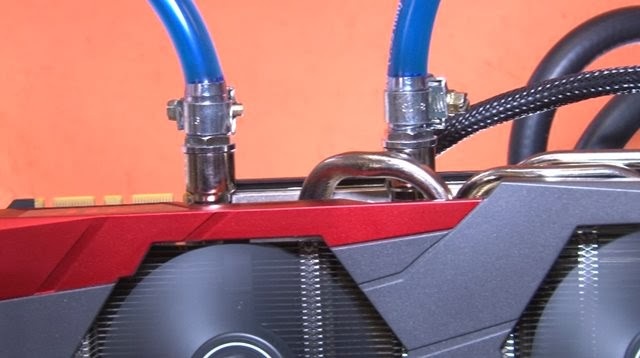 The top stands out from other video cards by the presence of two supports for the water hoses, next to huge heatpipes coming out of the center and round almost the whole body of the plate. The back is protected by a metal plate that also helps dissipate heat, and an illuminated panel positioned on the side lights up when the video card is connected. The cooling system of Poseidon is hybrid, ie, there are two distinct ways to keep the GTX 780 chip with a stable temperature. The responsible for this is the DirectCU H2O system, which includes two traditional coolers, but also works with water. To make this possible, the block sink comes with two inputs for connecting hoses of your water cooler. The system differs somewhat from ASUS Ares II, which already has a liquid cooling system including hoses, pump and radiator which will be responsible for water cooling. Poseidon is in need connect an external water cooler on board. The advantage of this is that , as it is not fixed , ends up facilitating the maintenance and transportation part . The downside is that not everyone has a water cooler available at home - and , unless you are willing to invest in a set of these , will have to settle for the traditional cooling system that came with the card . The GK110 is a powerful chip . We have already tested the model several times before , as it is present in the same GTX 780 ( reference ) , the GTX 780 Ti and GTX Titan . It is clear that in each of these versions , the GPU has important changes in its architecture to justify the change . The model offers a high data processing power through a parallel processing technology . The chip is built with 7.1 billion transistors , making him one of the most complex microprocessors already developed by NVIDIA . One of the main advantages of the Kepler relative to Fermi ( GTX generation 5xx ) is the processing capacity per watt, which is three times larger, resulting in higher performance with lower fuel consumption . NVIDIA GPUDirect : the GPUDirect allows different GPUs on a single machine or GPUs located in the same network to exchange data directly , without the need to resort to the CPU or the system's main memory . 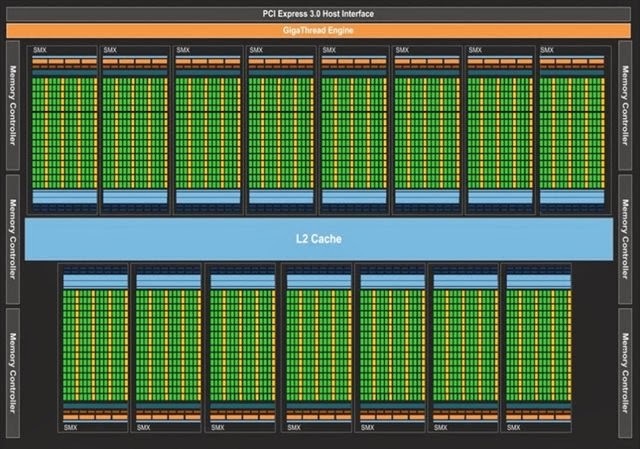 Kepler GK110 was designed to incorporate the Tesla accelerators , so the goal of NVIDIA to develop the model was to create the microprocessor parallel processing world's most powerful . The GK110 that moves to SMX Poseidon has 12 units , bringing 2,304 CUDA cores ( 2.880 against the GTX 780 Ti ) and six memory controllers 64-bit . With this, 3 GB of onboard memory with a clock rotate from 6 GHz to a transfer rate of 384 bits , which means a band with speed of 288 GB per second . The GPU video card does not have a fixed clock , only an initial value that starts at 954 MHz ( 836 MHz against the reference plate ) . This value increases dynamically while the video card does not reach thermal limit set by Clock Boost 2.0 . The Poseidon has a powerful energy system with 10 stages Aloy Super Power , along with the controller DIGI + VRM voltage . This ensures greater precision in the energy supply of the GK110 , besides allowing bolder overclocks . To complete , solid capacitors are designed to withstand extreme temperatures without losing durability . Provides a number of useful tools for managing video card . 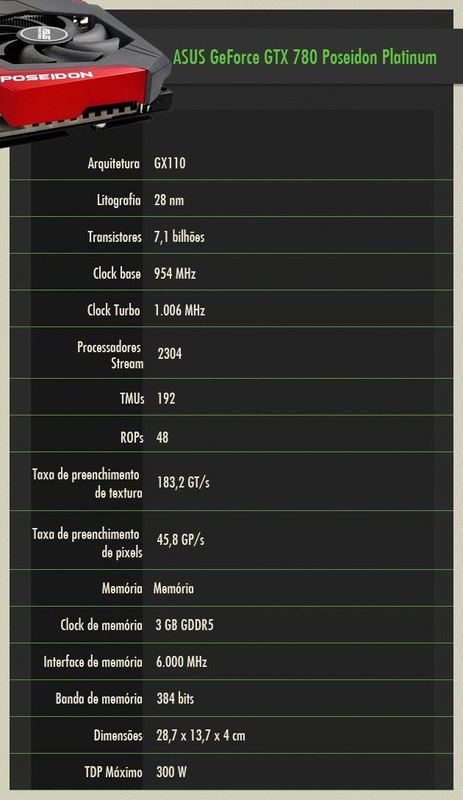 Through the software you can configure real-time clocks of memory and GPU , configure power options and game modes . All this can be saved in up to four different operating profiles to facilitate subsequent configuration. To complete , the software also allows you to update the BIOS through the Live Update feature . Who usually transmit their gameplays the internet will have available a complete tool brought by streaming GPU Tweak application, which is able to send videos with full HD quality . What is the PhysX physics acceleration system that tracks all the latest generation of GPUs from NVIDIA . Current games have many moving elements simultaneously: are explosions , clothes, hair and a multitude of objects that need to be managed by the system . Thanks to PhysX acceleration system, you can have these special effects during games without suffering the processor to manage it all. 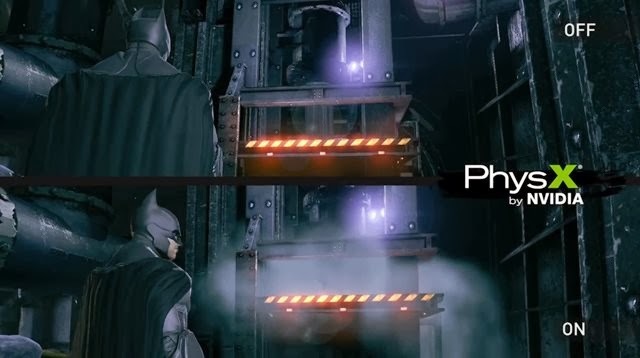 Games like Metro : Last Light and Batman : Arkham Origins abuse the hardware , and because of PhysX , you can have an enjoyable viewing experience . rate of the monitor . Note : To use the G - Sync , you need a compatible monitor feature . This toolset can be seen in the tech demo FaceWorks , NVIDIA . The level of detail gets the scare , it is difficult to look at the face shown on the screen and believe that it is not real . NVIDIA FaceWorks can be found in Technolsoft . If you think that only one screen is not enough to play , you can enjoy the 3D Vision Surround . The feature allows them to be connected up to three screens in just one video card . 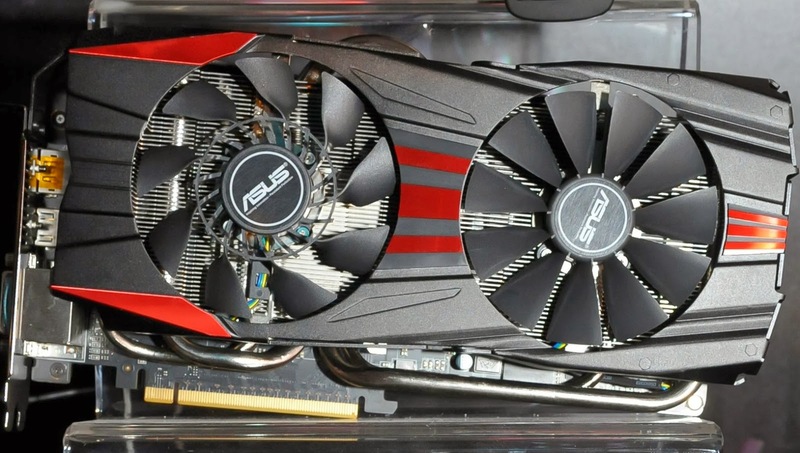 The GPU Boost first emerged along with the GeForce GTX 680 . The tool allows an increase in CPU clock up to a specified limit, based on certain conditions . 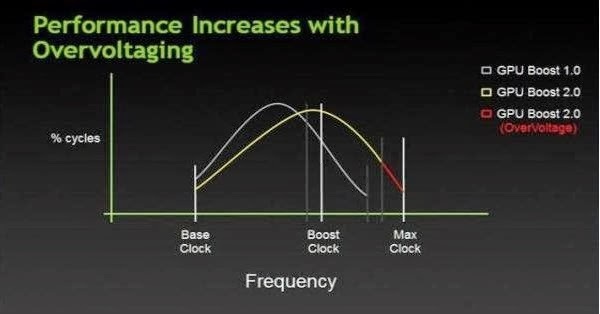 In the 600 series, the GPU Boost used as energy limitation , ie , while the limit was not reached, the clock would continue to increase . Version 2.0 works similarly , but instead of relying on energy consumption to determine the maximum clock rate , the board now uses as the temperature limiter . The advantage is that this new system will allow users to modify the behavior of GPU Boost as you need by adjusting the maximum temperature of 80 degrees to 85 degrees ( or more ) , for example , providing more performance with more precise control of the functions and the boundaries of the plate. 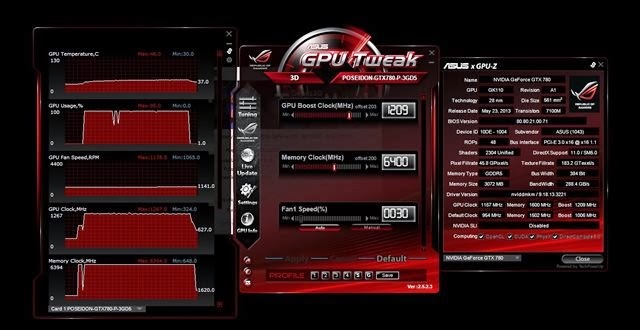 All this can be easily adjusted via the ASUS GPU Tweak software , which also allows for more accurate and powerful overclocking , especially in this model that has quality components and a system of more efficient cooling than other models. To test the performance of the board, you must submit it to various practical tests , and, of course , putting it against other models available in the market . We split testing into three different categories : games , synthetic benchmarks and computational power of the plate . Note: AMD Radeon 290x was not included in the tests because until the closing of matter hadnt gotten a model . To check out the full review of the board , click here . All settings were implemented by the ASUS GPU Tweak app and tested to ensure system stability . Source : Corsair AX860i .